My family LOVES candy. Sometimes I think my kids only love candy so much because we eat it so little. So, it was a HUGE treat when we were able to review candy from Candy Galaxy! We were able to try to items from their "red" line, and both would be so amazing to hand out during Halloween. 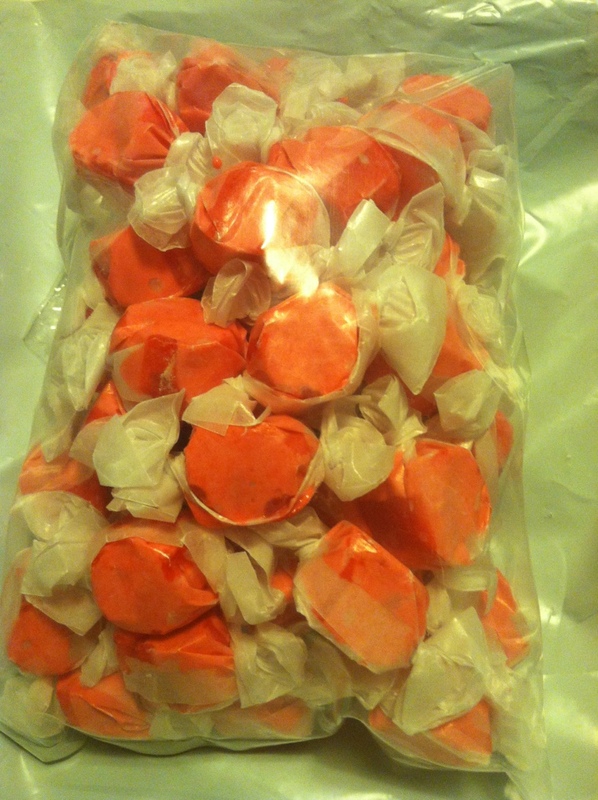 As a child, I hate salt water taffy, and I am not really sure why. I LOVE it now! My kids love it too! Each piece comes individually wrapped, and the cinnamon is sweet, not extremely hot, so even young kids will be able to eat it. Can you believe that Candy Galaxy sells this bag for only $3.29!!! 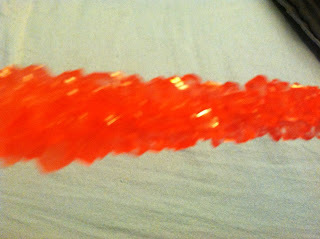 Next we tried the Red Strawberry Wrapped Crystal Sticks. It is these amazing little crystals of candy, that kind of pop off in your mouth as you eat them. The taste is AMAZING! Both the kids and I loved them! You can buy a pack of 12 for $11.99 from Candy Galaxy! You will not be disappointed in the quality or price of the candy at Candy Galaxy! I am a very picky candy eater, and I loved both items! MamaBreak received candy products to review here on MamaBreak. MamaBreak did not receive any other kind of compensation. As always our experiences and our opinions are our own. I love Candy Galaxy. I would love to try the cinnamon salt water taffy that looks delicious. 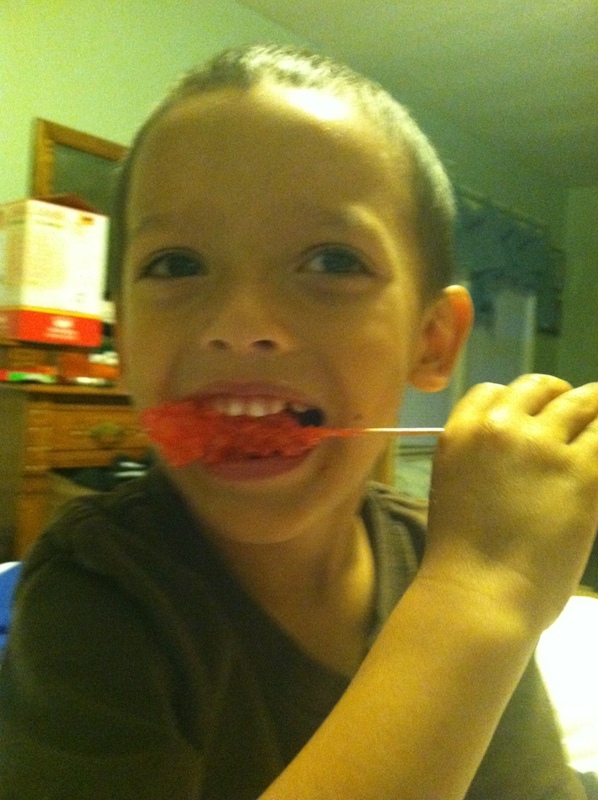 I love those Crystal Sticks, or Rock Candy, as we used to call it! Candy Galaxy has an awesome selection of candy! Looks like someone sure is enjoying it!! I would love to try the Cinnamon taffy, I love products that are not the traditional flavors. We used to call the other ice candy as kids, basically pure sugar on a stick who would not love it! Great review. I love candy! I have the worst sweet tooth and salt water taffy is my absolute favorite thing to satisfy it. I have never tried anything from Candy Galaxy but they sure seem to have a huge variety of yummy treats. I love Halloween !!!!!! The rock candy looks great ! I love this site, I have actually used them for a birthday party before!